Synonym | Parthenocissus vitacea (Knerr) Hitchc. 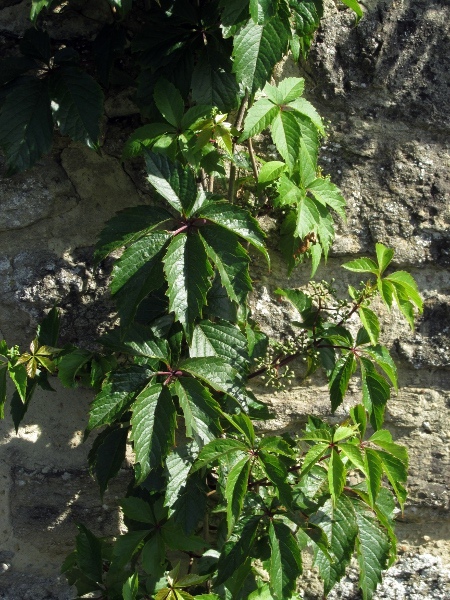 The leaves of Parthenocissus vitacea resemble those of the true Virginia creeper, Parthnocissus quinquefolia, but are shiny. 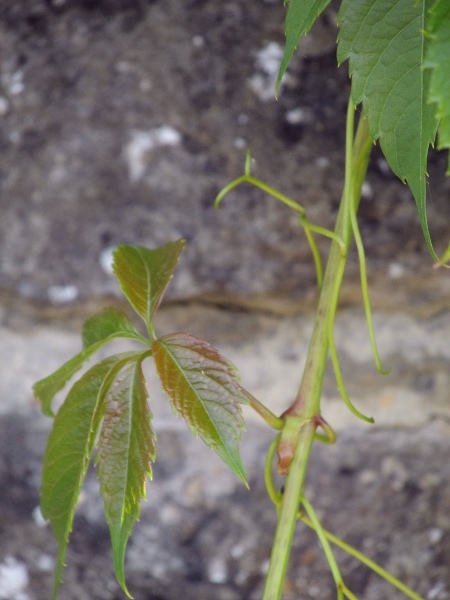 The tendrils of Parthenocissus vitacea are much less branched than those of Parthenocissus quinquefolia.